Doors set the tone for your home. Outside the home entry doors are the main focal point and inside the home doors bring style for every room. There is no better way to improve the curb appeal of your home that with a new decorative or energy efficient entry door. The primary door materials are vinyl, wood, composite, fiberglass, steel and aluminum. Each have their proper place and function when considering budget, style and maintenance considerations. Grilles are a great way to add visual interest to a door. Colonial and Prairie are the two most common types. Custom rectangular patterns can be created to fit almost any design. 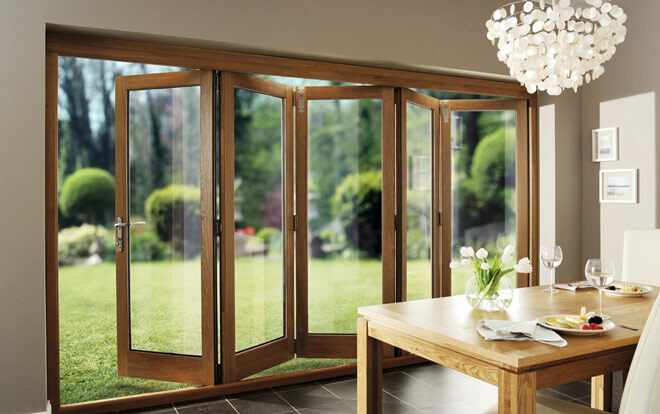 Grids can be appended to the doors in several ways including; simulated divided lite(SDL), true divided lite(TDL), grids between glass(GBG), interior removable and exterior applied. Door hardware is an aftermarket purchase and is available in numerous finishes. The most popular finishes are white, brass, brushed nickel, oil rubbed bronze, polished chrome and antique brass. Door knob, lock and hinge hardware options are all customizable. Door glass and door sidelites are available decorative, obscure for privacy and tempered for safety. The are many options for the interior finish of a door and most manufactures offer at least five to ten color options. Vinyl although traditionally white can be painted, composite is factory colored through the material and wood is usually painted or varnished. Another common option is to have a manufactured wood grain factory applied to the interior of a vinyl or fiberglass door. Low maintenance exteriors offer the best protection against the elements. Vinyl, Composite, Fiberglass, Steel and Aluminum all weather well on the exterior. Most wood doors have aluminum clad or pvc clad exteriors which are offered in multiple color options. Wood doors for the most traditional applications occasionally have wood exteriors and the important thing here is to protect the wood with adequate paint coverage every five to seven years. any roofing, siding, and spray foam insulation work. Mention this to our contractor. any roofing installation or repair job. Mention this offer to our contractor.